Comfortable luxury awaits you at Artique Surfers Paradise, as this perfectly situated, resort boasts a holiday to ruin all others. 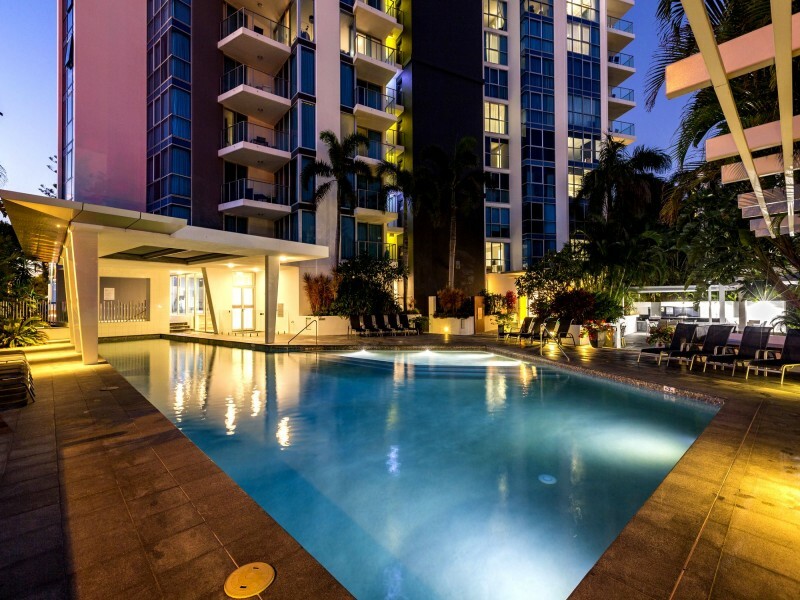 Nestled just a short stroll from the bustling hub of Surfers Paradise and the iconic beaches of the Gold Coast, Artique is in a fantastic location for those wanting to be away from the flashing lights and noise of the mecca, but still amidst the action. The lavish 4.5 star Surfers Paradise accommodation has an honorary spot in the Trip Advisor Hall of Fame and is ranked #2 resort in Surfers Paradise! Boasting the very best the Gold Coast has to offer with stunning and spacious rooms, first class facilities, and an ideal location with access to the rest of the Gold Coast’s amazing attractions, it's no wonder Artique is drowning in popularity! Your stay at Artique is guaranteed to be a fantastic one, with DQ customers and Trip Advisor raters giving this property a huge thumbs up. 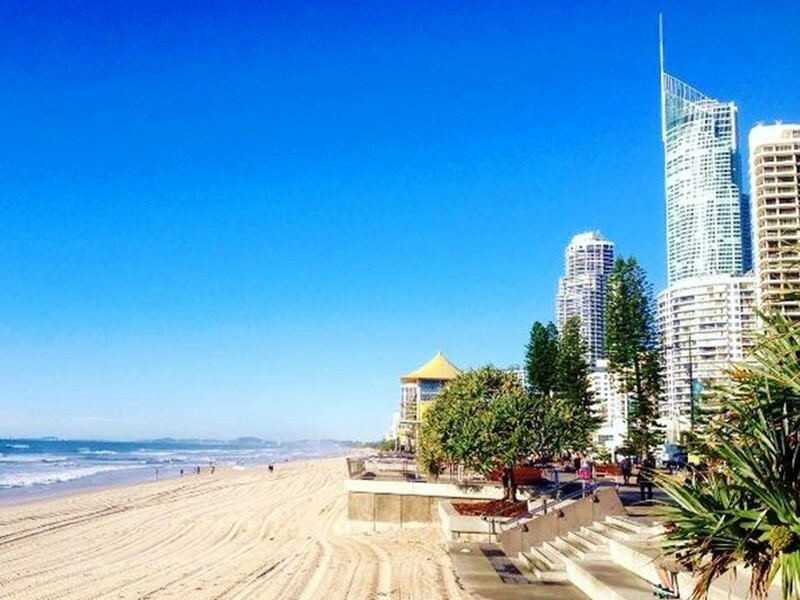 The iconic golden sand beaches of Surfers Paradise are just a 2 minute walk away. Throw your hats, sunnies, thongs, sunscreen, water, and towels in a bag, cross the road, and you will quite literally have hit paradise. Even during winter, Gold Coast beaches remain pleasant to enjoy both on the sand as the sun is nearly always shinning and in the water, with water temps not dropping too far making a beach day perfect for a swim and boogie board or a game of beach cricket. Be sure to swim between the yellow and red flags so you have the trained eyes of the lifeguards watching over you and your family! Artique features a lovely partially covered outdoor pool that is heated in winter framed by perfectly manicured gardens. For those who want to enjoy a meal in the beautiful Gold Coast sunshine, you can cook up a storm in the BBQ area. After a big day out exploring Surfers Paradise or even after lazing on the beach, you can return to Artique and melt into a spa or sauna, or even use the steam room! After you’ve had a swim, relaxed in the spa, and had a nice big meal, get your family or friends together and check out the private theatre. Artique Surfers Paradise is located smack bang between two of the most amazing parks the Gold Coast has to offer, Pratten Park and the Broadwater Parklands, both of which are accessible either by a short walk, or jumping on the tram located just outside the resort. 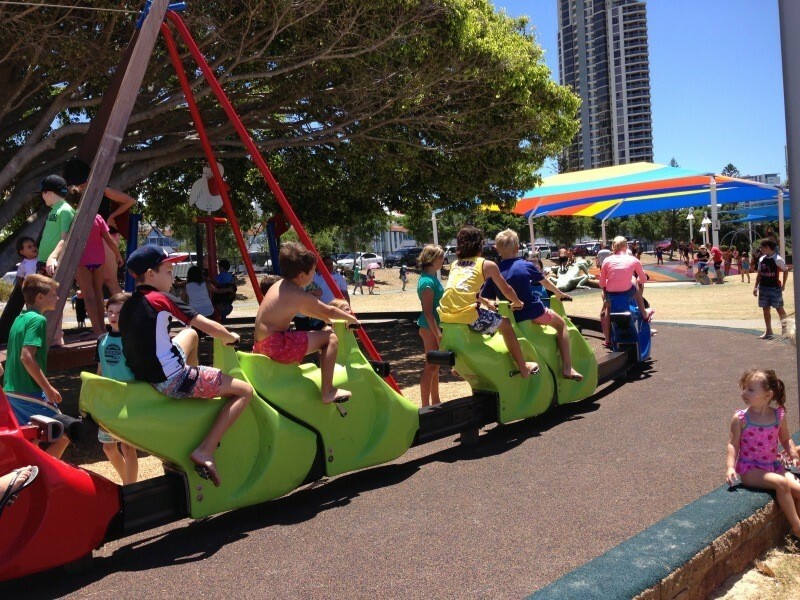 Pratten Park is the Gold Coast’s first ‘All Abilities Playground’ located in Broadbeach with play equipment and entertainment for children of all ages and play capabilities. Separate areas are fenced and it includes several types of swings including a large basket swing, a giant, hill slides, flying fox, a large yellow submarine, a mermaid in the undersea zone, and a carousel featuring harnesses. 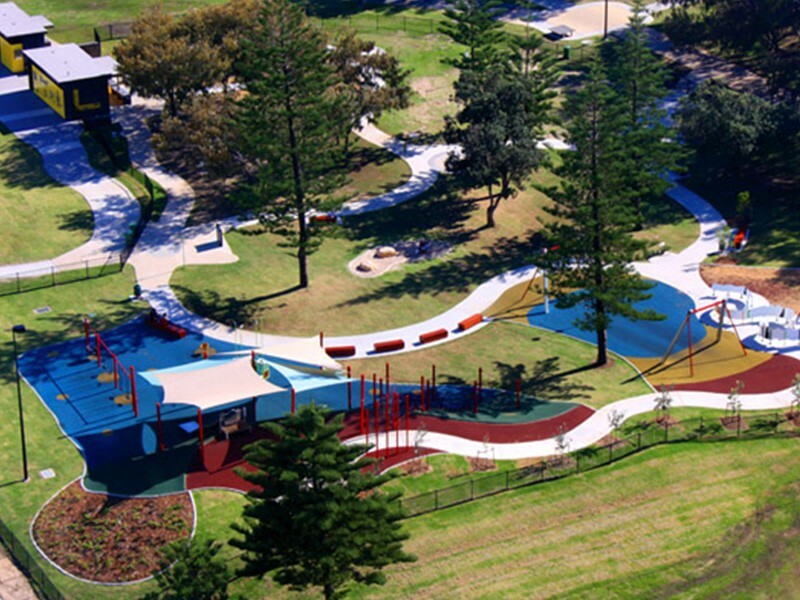 The Broadwater Parklands is north of Artique and also sits along the picturesque coastline, meaning the whole time the kids are having a blast is set against stunning water views. It is also equipped with a variety of fun playground paraphernalia including a giant shaded jumping pillow surrounded by sand that is open for play between 7am and 6pm, a variety of swings, a giant lizard (it’s okay, he doesn’t bite), monorail pedal bikes – perfect for racing, a flying fox, a special liberty swing for kids of all ages, and finally an educational bike track. This bike track is perfect for a family excursion, with education information along the way, plenty of bubblers, and especially smooth riding, our DQ hot tip is definitely pack the bikes or scooters if you’re driving to your family getaway at Artique. In fact it even makes a romantic day activity for just Mum and Dad. The Gold Coast has an amazing dining scene with plenty of options to suite all cuisine tastes and culinary preferences. Situated on the edge of Broadbeach, Artique is both one tram stop or a short stroll to the premier dining district of the Gold Coast, so be sure to enjoy at least one meal in the beautiful Broadbeach. There are also tantalising restaurants just a short stroll away in Surfers Paradise also, as well as a myriad of options just outside the resort. 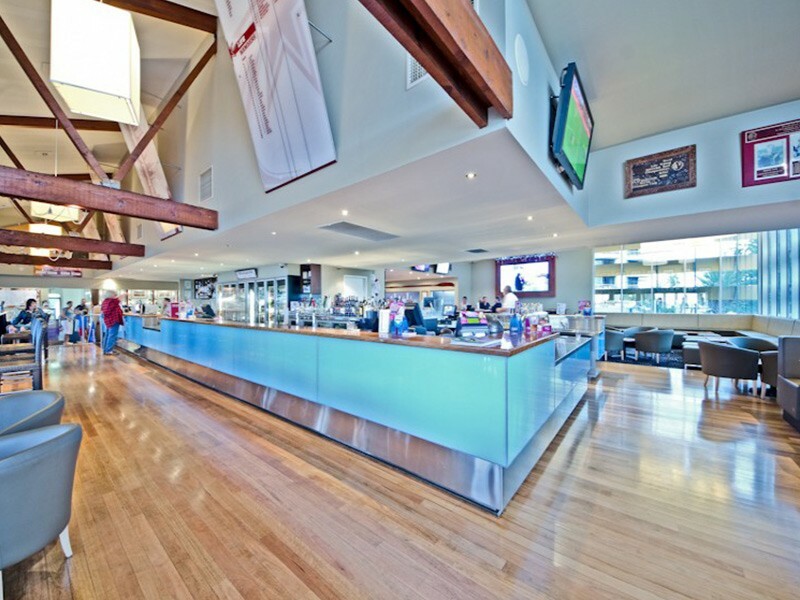 A family DQ favourite however, is the Northcliffe Surf Club, as it is just a stone’s throw from the resort with reasonable prices and boasts panoramic views of the surf, sea, and sand from your table. For a day of retail therapy you are absolutely spoilt for choice! So don’t feel bad about giving the kids to Dad and heading off to explore the Gold Coast’s hottest shopping spots. Surfers Paradise is home to shopping gems such as Paradise Centre, Chevron Renaissance Shopping Centre, Piazza Surfers Paradise as well as the mall which caters to every shopping style from boho chic, to second-hand hipster, to haute couture with everything in between. There is something for everyone in Surfers Paradise. Of course, for a shopping experience like no other, jump on a tram towards Broadbeach where the fairy-tale, castle-like Pacific Fair awaits you. 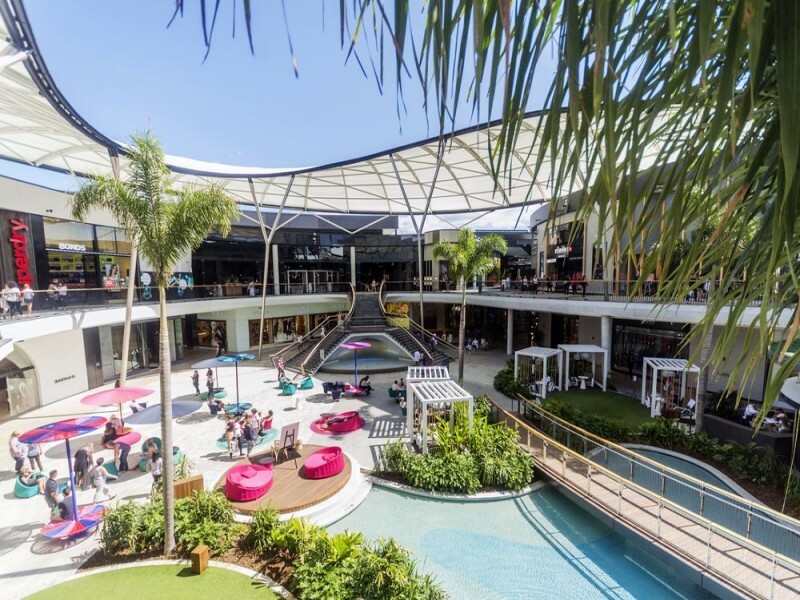 One of the largest shopping centres in Queensland, Pacific Fair has hundreds of stores set across its newly renovated indoor/outdoor setting. Including plenty of café’s, juice bars, and food options to keep you nourished while on your mission. Aside from the golden sand beaches, the Gold Coast is absolutely famous for the world-class theme parks adoring the region. So for a family fun day out head down to the tours desk at Artique and have the friendly staff organise your Gold Coast theme park trip. 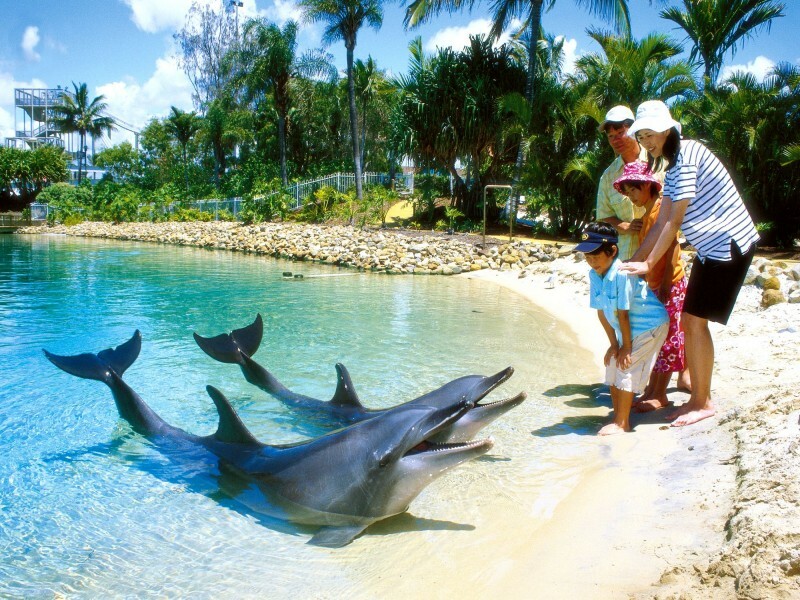 Because you cannot have a family holiday on the Gold coast and forget to visit Australia’s largest and most popular attractions, Dreamworld, Movie World and Sea World! 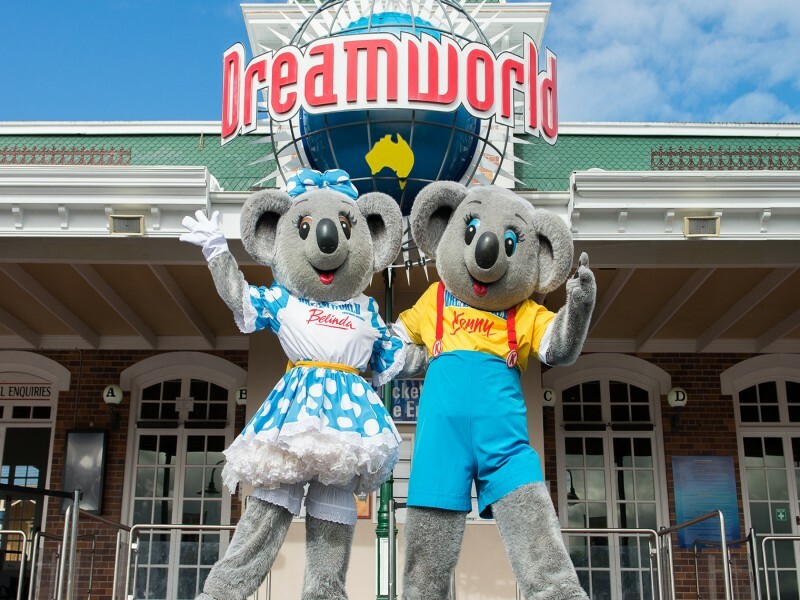 Dreamworld is officially Australia’s largest theme park with over 40 rides including 5 roller coasters it is a haven for adults and kids alike just waiting to be enjoyed. 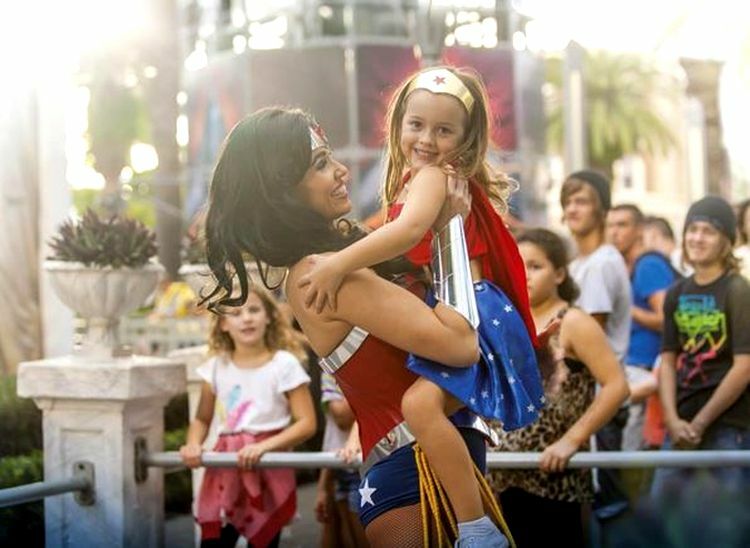 Movie World is a cinematic experience like no other; mingle with your favourite movie stars, watch them perform and take down the bad guys on the street right before your eyes, and see how the magic happens behind the scenes. Sea World boasts a myriad of water creates that can be patted, appreciated, and enjoyed as they perform amazing flips and tricks right in front of you. There are a host of interactive shows, as well as rides to get the most from this mixture of entertainment and education. Of course for water fun both Wet ‘n’ Wild and White Water World can accommodate with heaps of rides, entertainment, and dining options in the parks. Artique Surfers Paradise is an experience like no other, but the reason it is a DQ favourite is because Artique ensure every family holiday, romantic getaway, and girls' weekend is a magical one. Each trip is treated with fantastic individual service that is unparalleled. 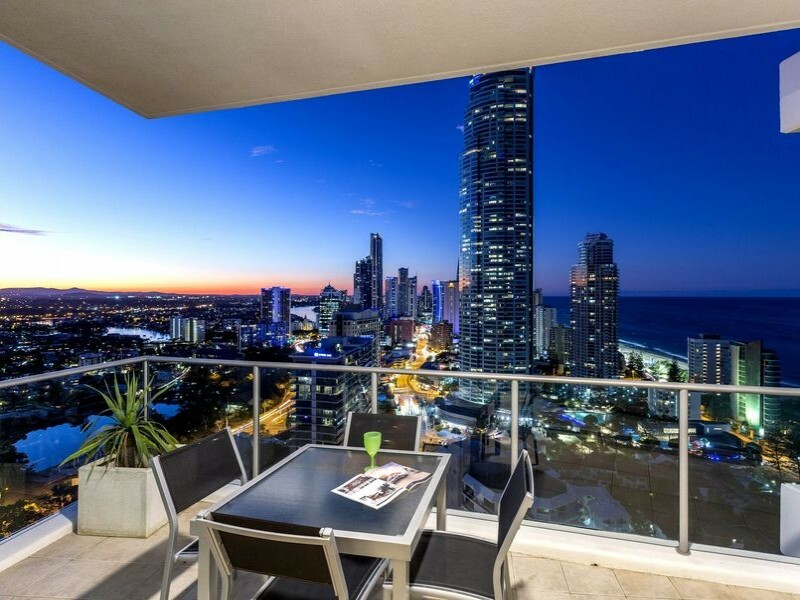 So call Discover Queensland today to get away on an amazing Gold Coast holiday at Artique Surfers Paradise.